SEAT SS 410/ SS 304/ SS316/SS 304L/SS316 as required compatible withbody material. 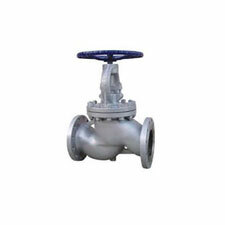 VALVE SS 410/ SS 304/ SS316/SS 304L/SS316 as required compatible withbody material. BACK SEAT SS 410/ SS 304/ SS316/SS 304L/SS316 as required compatible withbody material. required compatible with body material. GLAND IS 210 GR. FG 220,ASTM A 216 GR.